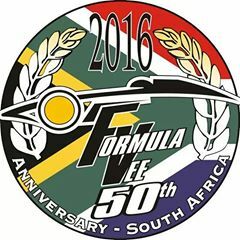 At the end of November 2016, the Challenge Cup Series will be sending four of our drivers to race at the South African Formula Vee 50th Anniversary. Ray Carmody of Horseheads, NY and Dean Curtis of East Stroudsburg, PA will represent the United States; while Johan Wasserman of Binbrook, Ontario and Robert Murray from Lindsay, Ontario will be waving the Canadian flag for this international celebration. Our drivers will be racing South African Formula Vees first at Killarney in Capetown, then traveling to Zwartkops in Johannesburg – where they will take part in a two-hour endurance race, pairing up with a South African teammate. The endurance race will include drivers not only from South Africa, but several European countries and Australia. The races will be broadcast live on South African TV. This exciting new program started as the vision of driver Johan Wasserman, and will bring drivers to the United States in 2017 to drive Challenge Cup cars during our races at some of the premier tracks in the States. The Formula Vee open-wheel race class was formed in the 60s to offset the rising costs of the Formula Junior class of that time. The cars used the basic components of the Volkswagen Beetle. The class has remained basically the same since its inception and still provides affordable open-wheel racing. Many of the big names in racing got their start in Formula Vee. The Challenge Cup Series has taken that FV survival spirit and adopted the proven Canadian wheel and radial tire package to effectively cut the costs of racing. With the addition of this new program we have raised the excitement level – creating a true international series where drivers from around the world can race at first class tracks and experience some of the best racing ever.